Trustees of a San Luis Obispo County animal sanctuary sold 1,100 acres of the reserve to Justin Vineyards and Winery, a company owned by Stewart and Lynda Resnick, CalCoastNews has learned. Specifics about what happened to the animals for which the sanctuary was created, is not known. Michael Tobias, president of the Dancing Star Foundation, did not respond to requests for an interview. His attorney, George Phillips Jr., said the animals were moved from the Paso Robles reserve before the end of escrow, but not where the animals were moved to or how many animals remain at the Dancing Star sanctuary off Highway 1 near Cayucos. The Resnicks are known for clear cutting thousands of acres of oak trees to expand their vineyards and attempts to corral massive amounts of water at a time when north county farmers and ranchers have been dealing with a long-term drought. The Dancing Star Animal Sanctuary was the focus of CalCoastNews stories five years ago when reporters discovered that a husband and wife team of environmentalists in charge of caring for the animals were, instead, slaughtering them. The killings were done for economic reasons, Michael Tobias and Jane Gray Morrison reportedly told sanctuary employees. But, the foundation did not appear to be in economic trouble at the time. It had sizeable assets and was able to pay its top officers handsomely. In 2007, according to the foundation’s IRS Form 990, the Dancing Star Foundation had more than $43 million in assets. Tobias, as president, received a yearly salary of $285,500; Vice President Morrison, $244,000; and Vice President of Finance Don Cannon, $240,000. After CalCoastNews broke an exclusive on the slaughter of the animals, along with a disturbing video, and amid public outrage, the killing of sanctuary animals stopped. In 1993, Sue Stiles created the Dancing Star Foundation, a nonprofit with a focus on providing a refuge for elderly and handicapped farm animals. She opened one sanctuary in Paso Robles on Sleepy Farm Road for burros, and another in Cayucos on Highway 1 for horses, cows, dogs, burros, pigs, and a goat. Stiles’ aunt, one of the owners of the [McClatchy] Bee newspapers, left her an inheritance of more than $60 million, sources said. Stiles chose to dive into philanthropy with a focus on providing a safe haven for aged and infirm farm animals and endowed the foundation with more than $60 million to keep her dream alive. “The purpose of this corporation shall be (1) for the prevention of cruelty and the provisions of care for domestic animals and, (2) to make grants, donations, gifts, and contributions from its net income or assets, exclusively for charitable, scientific, literary, artistic, or educational purposes…” according to amended bylaws Stiles submitted during her illness, on March 11, 1998. Stiles choose Michael Tobias to preside over her non-profit foundation. Tobias is a world traveler and author of 35 books and numerous documentaries focusing on environmental history and animal rights. After taking the reins, employees of the sanctuary said Tobias ordered the elimination of multiple animals. 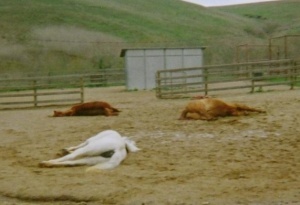 Ranch hands claimed foundation officials were killing viable animals including a wild horse named Carmel. Because Carmel was a wild horse, her euthanasia required the use of a squeeze (a cage that tightens around an animal’s body). When Carmel fought and fell in the squeeze, her legs caught in the bars. The vet carrying out the euthanasia tried to inject enough drugs to drop the winter-coated mare, but Carmel continued to fight and only part of the killing drugs could be administrated on the first try. During Carmel’s long and painful death, sanctuary workers stood by weeping. Since then, the foundations assets have shrunk to $25,190,667, according to the foundation’s 2014 IRS Form 990. In addition, Tobias’ salary in 2014 was $108,130, less than half of what it was in 2007. At $77,236, Morrison and Cannon’s salaries are less than a third of what they were in 2007. On Oct. 1, 2015, Justin Vineyards and Winery purchased approximately 1,100 acres of land, which included multiple parcels at Sleepy Farm Road west of Paso Robles, from the Dancing Star Foundation for $4 million. 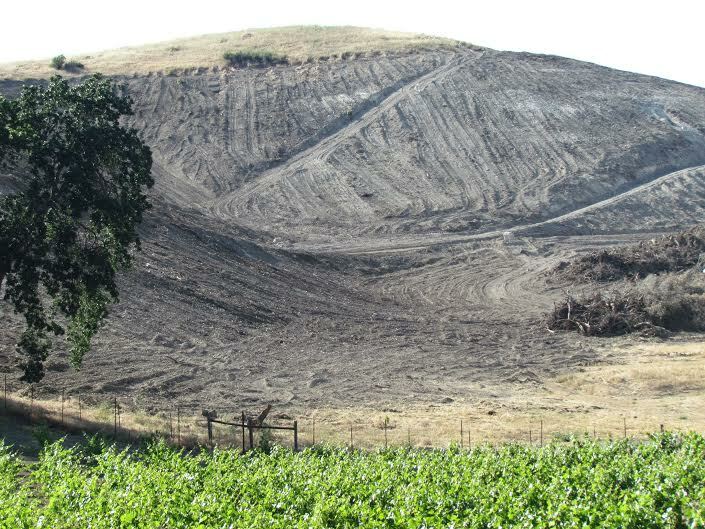 Following the purchase, Justin Vineyards began clearcutting the land, removing thousands of oak trees. Amid public outrage over the Resnick’s clearcutting of oak trees, the couple sent out an apology and announced plans to donate 380 acres of the property on Sleepy Farm Road to a land conservancy. But, new county regulations require land owners who want to remove more than 10 percent of a tree canopy to get a conditional use permit. Those wishing to remove less than 10 percent, need a minor use permit. The Resnick’s spokesperson did not respond to requests for comment. Their day will come..they will reap what the have sown. I agree, there will be a reckoning for people like the Redneck’s, and all of the walls they build will not protect them. Although I cannot condone violence against people like this, I realize that not everyone shares my philosophy. B O Y C O T T J U S T I N V I N E Y A R D S.
B O Y C O T T W O N D E R F U L C O. Enough of these out-of-area interlopers. Enough of Adam Hill, Bruce Gibson, Caren Ray, etc. This article seems to be unclear to me. Is this about an additional area the Resnicks deforested or is it just background on the one that created the big controversy? In either case, it does not appear that the Resnicks had anything to do with the past history of the property — at least at this point. They have enough flaws in their methods of operation. There is no need to indirectly link them to someone else’ disgusting behavior unless there is proof to back it up. There are so many disgusting people that it is hard to put a number on them. Money seems to be god to this Resnick pair; hopefully some day they will receive retribution for their misdeeds. Do not misunderstand me. I am not a religious person. But misfortune comes in many shapes and forms and if they and the operators of that sanctuary don’t deserve misfortune, I don’t know who does. I relate a story of a supervisor who was a horrible person and did all he could to make his employees unhappy. His retaliation came in the form of an early, very painful death from cancer. This is what I mean by misfortune to those deserving of it. Once again, the Resnick’s are in the news, and never for anything positive. I’d like to know what happened to the animals at Dancing Star once the deal went through. I hope you do a follow-up story on that. As far as the Resnick’s go – I’m boycotting their products – I’ll never purchase anything they have their hands on. I sure hope land owners in this beautiful county think twice before selling them anything! As for this Tobias guy running Dancing Star… he is the ultimate scum. There are other active animal sanctuaries where those animals could have gone. What a sorry human being he is. Noticed a few days ago that Costco in SLO is selling WONDERFUL Pistachios. If EVERYONE with a conscience commenting on CalCoastNews would voice their objection to Costco about distributing any/all of Stewart and Lynda Resnick’s “garbage” and refrain from purchasing Resnick’s junk, perhaps Costco will listen and drop Resnick’s products entirely! FiJi water, Justin wines, Landmark wines. Ever see who one of American Ninja’s Warrior’s major sponsors is, POM!! super resnick do nothing Koolaid!!! After reading the article I couldn’t even bring myself to watch the video! It always so ironic and unsettling to me that organization that probably ask for donations from the general public (and I’m not sure in this case – just in other cases) usually have the CEO making an outrageous amount of money! You wonder what Tobias actually DID for that high salary and if killing the animals had more to do with keeping money flowing by lessen expenses of feeding animals to make sure the top administrators could keep their BIG salaries. OH and then you the Resnick’s stepping in to save the day….hahahaha, what a joke – like buzzards circling – then coming in and cleaning up the mess. Ahhhh, and CLEARING out oak trees which is something their known for! What a horribly SAD situation all the while WHERE’S OUR COUNTY on this??? >Busy ridiculing County residents who stand up to speak at Board of Supervisors’ meetings. You can come up with some additional “valid” reasons why our County doesn’t seem to notice or care. The County Governments Rapes the Tax Payers more than Resnick could ever dream of…yet…where is the outrage? Is this 1,100 acres, or 11,000? Me-thinks it is the smaller amount, as eleven thousand acres is basically half of the current total acres of wine producing vineyards in the county. Either way, the Resnick’s expanding empire into SLO county is not welcome news at all.